True Woman Blog | This Thing Called Life . . . Here is another excellent article from the True Woman Blog at Revive Our Hearts. He has told you, O man, what is good; and what does the LORD require of you but to do justice, and to love kindness, and to walk humbly with your God? (Mic. 6:8). This mandate in Scripture has shaped my passion for seeking justice in our broken world. The clarity of these words leaves us with no doubt as to how God wants us to spend our time on earth. Act justly; love mercy; walk humbly with your God. I’ve always focused my primary attention on the acting justly and loving mercy portions of this command. These two seem challenging enough. 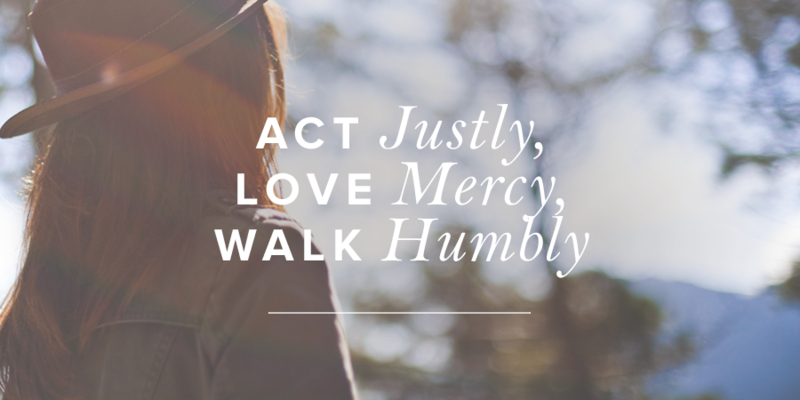 It’s often overwhelming to navigate how to live out justice and mercy to the world around me. There are millions of people worldwide experiencing injustice. How can I, a stay-at-home mom, give justice to the oppressed? It’s also so easy to feel personally entitled to mercy and yet deny giving it to others. How do I extend forgiveness to others when my flesh is not ready to release the offense? My own weakness renders me incapable of obedience. As I’ve wrestled with the weightiness of how to act justly and love mercy, I’ve realized that it’s only possible to obey these commands in light of the gospel when we walk humbly with our God. Humility is dependence on God. Walking in humility displays our reliance on His strength in our weakness to obey. Our obedience to God’s good commands must come from a place of humility as we rely on Him to accomplish it. Because of sin, we live in an unjust world. We are transgressors of God’s law and the consequence for our rebellion is death. But God sent His Son to live the life we could not live and die the death we should have died. God poured out His just wrath on His Son instead of on us. This great grace should humble us. As image-bearers of the God of justice (Isa. 30:18) and recipients of our just status in Christ (Rom. 5:1), we reflect His heart to the world when we seek justice for all people. 150 million children are vulnerable in our world today due to fatherlessness and poverty. 45 million image-bearers are living in modern-day slavery. 65 million refugees are currently seeking refuge after fleeing their homes due to war, famine, and persecution. Every year, over 50 million babies are murdered in their mothers’ wombs. I look at those numbers, and then I look at me. I don’t see any way for me to make a difference. This is what my enemy wants me to think. He wants me to keep my focus on me and my strength so that I’ll believe that I can’t do anything to help. And if I were depending on myself to accomplish justice for the vulnerable, that would be true. This excellent article about a difficult subject is from the True Woman Blog at Revive Our Hearts. I’m not in a wheelchair. I’m not on chemo. I’ve ended up in the hospital only two times, for brief outpatient visits. To see me, you’d assume I’m the picture of perfect health. But underneath this strong exterior lies deep weakness. 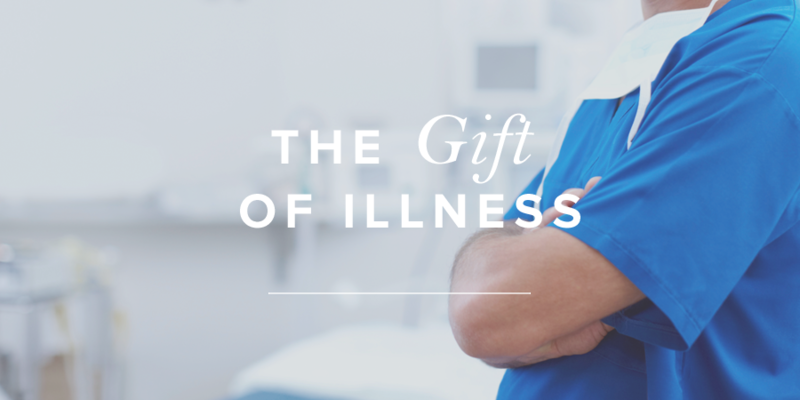 I’ve been given the gift of chronic illness. And while I would love to reject such a gift, it has been my invitation into a thousand moments of grace—to feel where I was once numb, see where I was once blind, hear where I was once deaf. It’s been my merciful undoing and my gracious remaking. You see, in my own strength, pain-free and healthy, I am Pride and Self-sufficiency and The Greatest People Pleaser. But here, in the throes of weakness, I am forced into postures of humility and dependency upon God. This brokenness has surfaced every cranky, weary, impatient, mean, insecure, fearful, shortsighted aspect of my character. So I cry out to Him.